As any parent can tell you, every child learns differently. Thankfully school choice has empowered millions of students and their parents across the country by allowing them access to a high-quality education. We tend to hear school choice and think about vouchers or charter schools. While these are valuable and integral options for many students in Ohio, one of the most often overlooked school choices is virtual education. Via the Internet, a quality education is now just a click away for thousands of students who were previously unsatisfied with their brick-and-mortar public school. In addition virtual schools are often not bound by enrollment caps and geographic location. 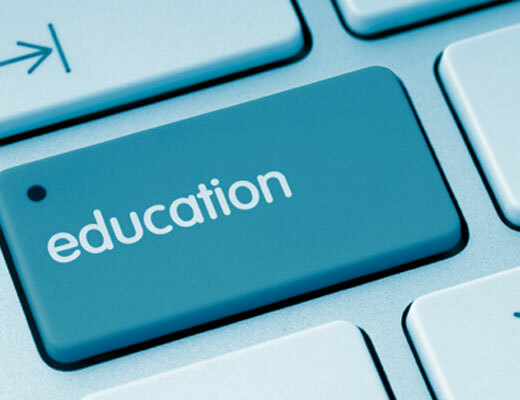 Americans for Prosperity Foundation, AFP’s sister organization, has released a policy brief on online learning explaining virtual schools’ exciting new frontier of educational freedom. The report is available here. According to the report, 30 states offer a full-time virtual school on the state level, while 35 states offer a blended learning program for specific courses on the state level. Currently the state of Ohio allows districts to conduct online learning and offers parents and students — statewide — full-time virtual schools or a blended learning program. This is great news for Ohio parents and students. Online learning offers Ohio students and parents opportunities that might otherwise be unavailable to them in a traditional learning environment while providing our schools an opportunity to expand curricula. Increasing access to online learning can help ensure our students are receiving the best education possible and are being prepared to enter the workplace equipped with the knowledge and skills necessary to be successful. The advantages of virtual schools are real. According to the Ohio Department of Education, the Buckeye State has several online community schools, or E-schools, that provide education to students largely electronically. Parents interested in learning more about online community schools can call 1-877-644-6338. As Dr. Milton Friedman said, “What do we really need in schools? We need competition.” He was right. When the number of opportunities for parents to select increases, so will the competition for students, and as a result, the quality of the education provided. As every parent will tell you, there is no one-size-fits-all model when it comes to educating their children. Fortunately, in Ohio, parents have choices. Choices lead to competition and competition can lead to excellence. As we celebrate national school choice week from January 26 through February 1, I hope you will take the time to increase your education about school choice in Ohio.